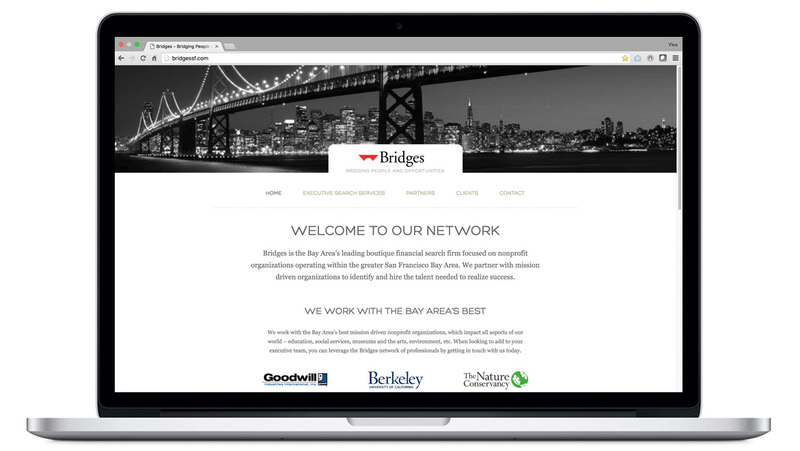 Bridges is a Bay Area boutique financial search firm focused on nonprofit organizations. 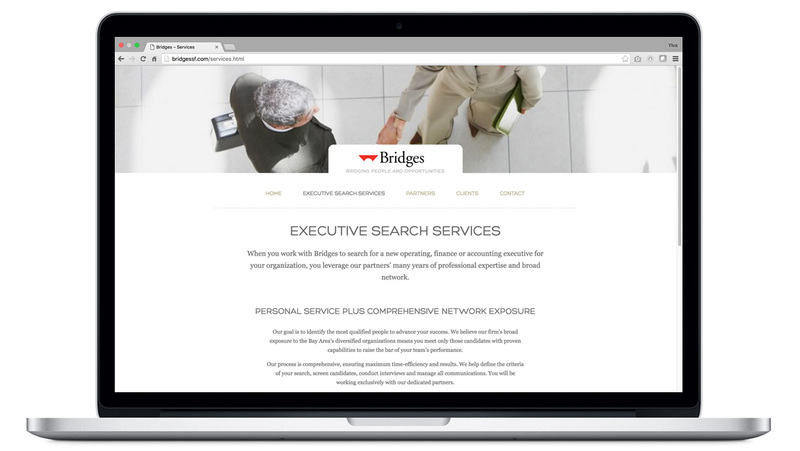 Bridges partners with mission driven organizations to identify and hire the talent needed to realize success. 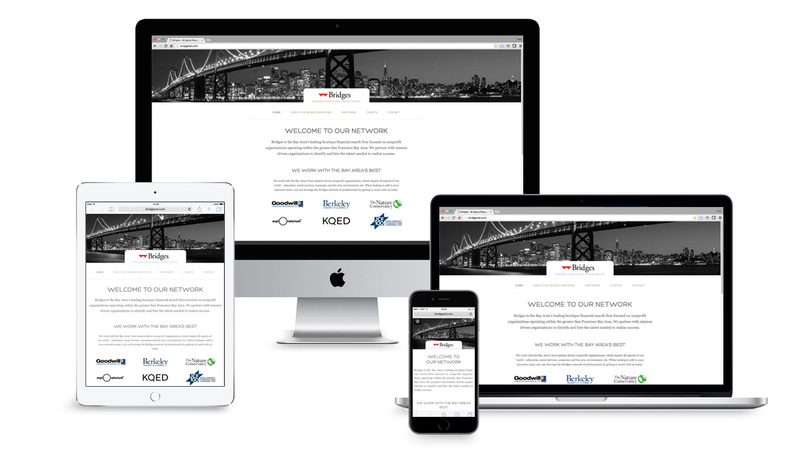 Bridges was ready to update the website they had had for several years, developed and maintained by Adam London. Adam reached out to Ylva Wickberg for the redesign. 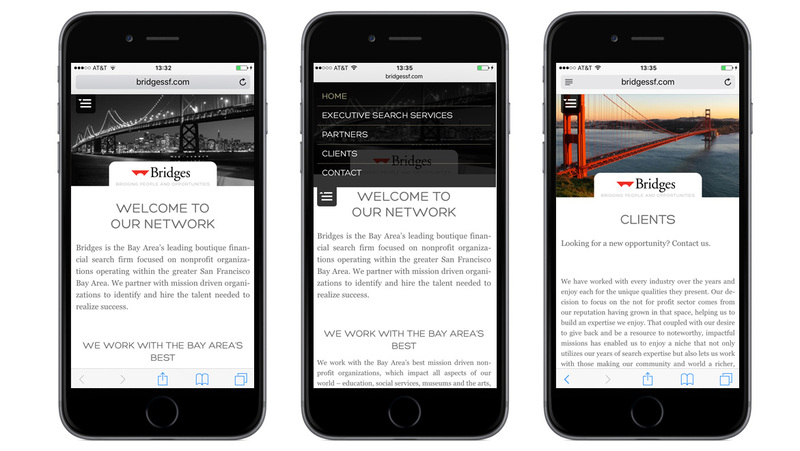 Bridges wanted a responsive, clean and elegant site that clearly conveys their message. While designing or revamping a website can be an onerous task, we were fortunate to have discovered Ylva and Adam, making the project smooth, timely and enjoyable. With Ylva’s thoughtful focus to listen to our desired outcome, followed by her eye for design, layout and effective copy, the project was underway without frustration. This was followed by Adam’s efficient and uncompromised technical capabilities.Together they helped us to create a website we are proud to own. 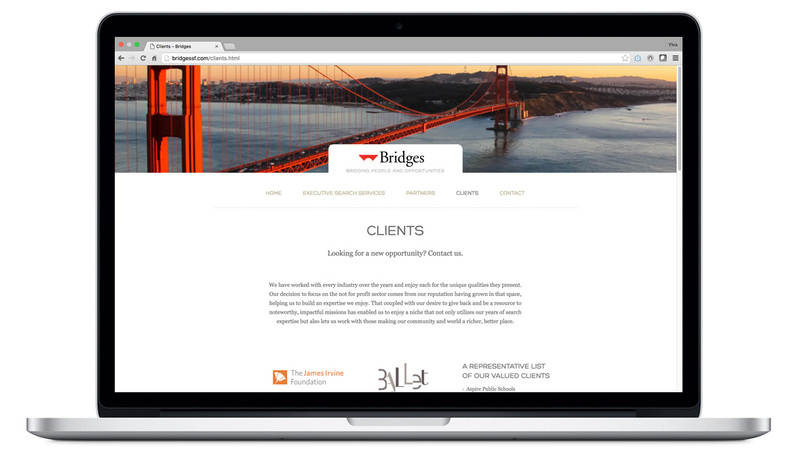 The partners of Bridges SF would highly recommend this team.